Watches play a distinct role in the life of a modern person. In addition to the obvious task of timekeeping, they are one of those accessories that can make someone’s personality shine. 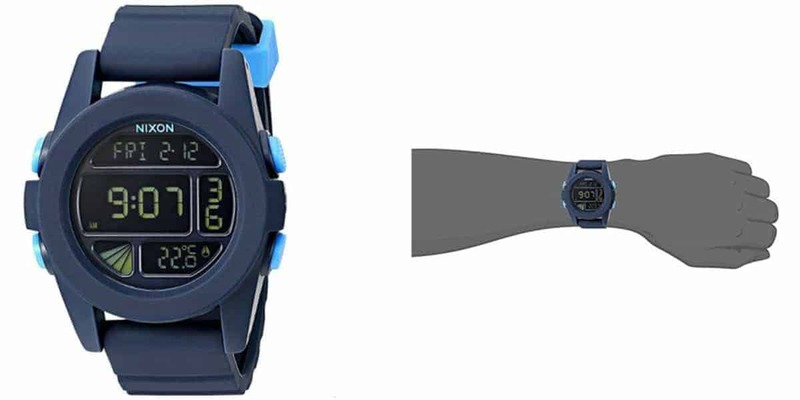 In this article, we will be looking at some of the best Digital Watches available today. Without further ado, lets get going! The Nixon Unit LCD features an attractive design that is minimalist and stylish. Buyers can select between two chassis colors: dark blue and blue fade. And the digital LCD can display in two different modes: positive and negative. The backlight is also pretty impressive. 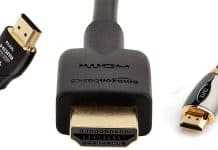 It features several custom digital module features. Firstly, let us talk Time. (This is after all a watch). It can display time in 12 hour mode or 24 hour mode. The Nixon Unit LCD also comes with a calendar (that shows day, date and month), a temperature gauge (that is pretty accurate) and a chronograph. It also has a great countdown timer and an alarm. The Nixon weights in at 2.5 ounces (70 grams). The case features a custom injection molded polycarbonate dial ring and a fixed bezel. It is 55mm in width (diameter) and 15 mm in depth (thickness). The band is made of custom injection molded silicone. It is 25.2 mm wide and has a circumference of 10 inches. This is water resistant, and can withstand a depth of up to 100 meters. You can always count on Nixon to make the best watches. The company claims that they make “the little things better”. The Nixon Unit LCD is no exception. 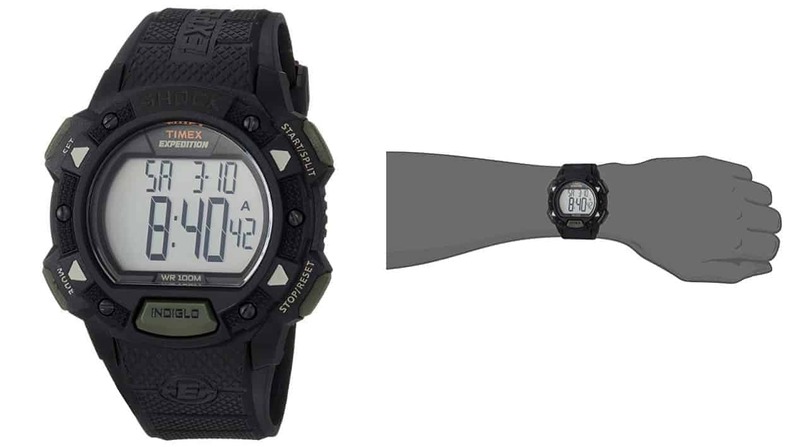 The Casio G-Shock GD-100-1BDR features a cool looking military-style design. As hinted by the name, this is an incredibly robust watch that will resist most kinds of bumps and forces. Among the features of this watch include time in 12 hour mode or 24 hour mode, a calendar (with the day, date and month), a stop watch, a countdown timer and a great alarm clock. This also beeps every hour which is a great added feature for timekeeping. 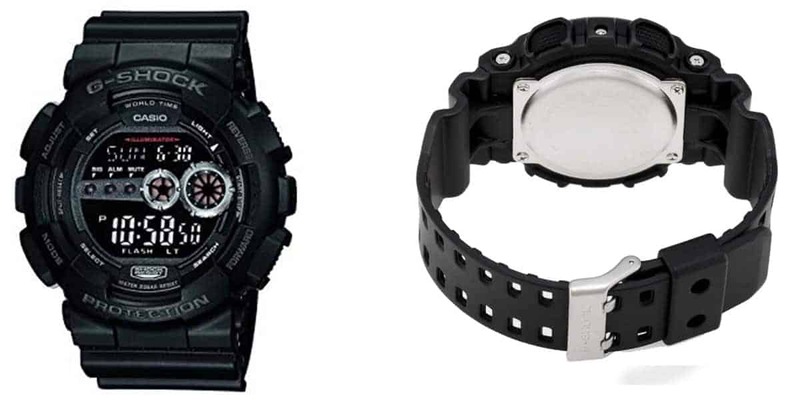 The Casio G-Shock GD-100-1BDR weights in at around 2.55 ounces (72 grams). It features a case that is 55mm in width (diameter) and 17.5 mm in depth (thickness). It features large buttons that make navigation extremely easy. The display is also pretty large and the numbers are easy to read. It is equipped with a high-density LED light that lights up the dial face from the behind. This results in a super luminous display. The GD-100-1BDR is also water resistant, and can withstand a depth of up to 200 meters. G-Shock GD-100-1BDR is great, particularly if you are on the outdoors doing physical activities most of the time. 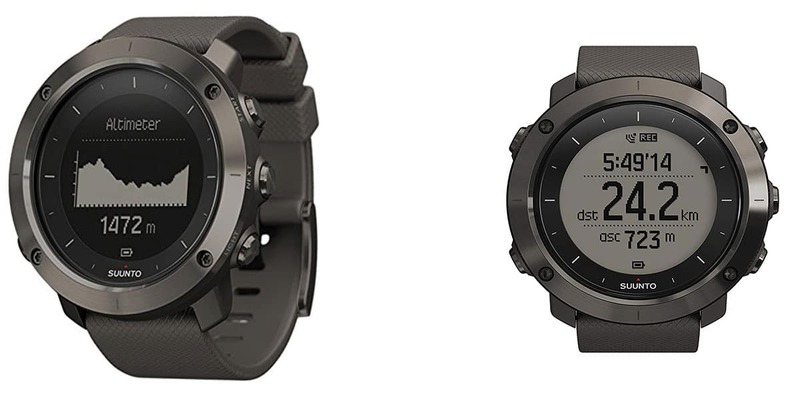 This incredibly robust set is packed with tonnes of features making it one of the best digital watches out there right now. 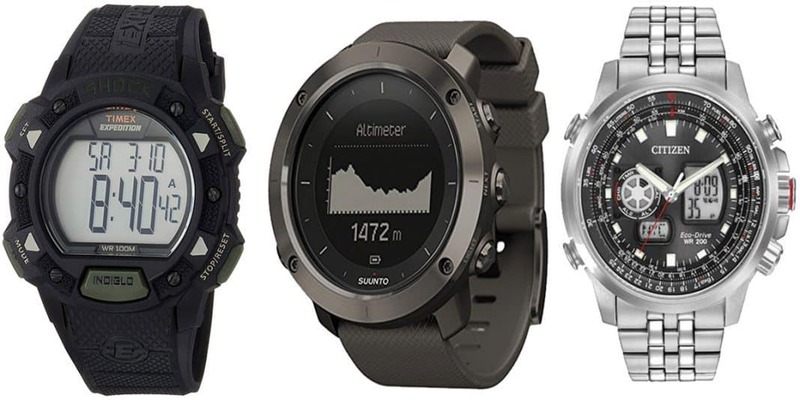 The Suunto Traverse is an interesting addition on our list of the best digital watches. This is a GPS wristwatch that features a full digital display. The bezels are made of stainless steel and the build is pretty robust, which makes sense given that this has been designed for the outdoors. Besides the regular features of any digital watch, this acts as a great GPS device. You can connect it to a smartphone and upload your routes onto the watch. It is connected both to the American GPS and the Russian Glonass Satellite navigation systems. You can check a range of important statistics such as the altitude, distance traveled and the direction you need to head towards. The sunrise and sunset time is another cool feature. Ask any hiker/trekker and they’ll tell you at least a couple of stories about the time they got stranded in the dark after sunset. So this is definitely an important reminder to have on your watch. You can also save locations that you find particularly interesting on this so that you can look them up later. Other features include incoming calls, texts and push notifications. The one disadvantage the Suunto Traverse has over other watches is the fact that it needs regular charging. Still, the battery lasts a good 100 hours after a full charge. The Timex Men’s Expedition Shock CAT is a true for outdoors. This has one of the most robust designs of any digital watches out there. 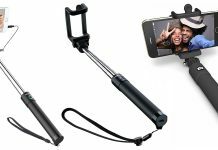 It is shock resistant to ISO standards and can withstand an insane amount of rough handling. It also features a durable Resin strap and a Indiglo Light-up dial. This isn’t just for torture tests. It can still perform most of the tasks of any digital watch. These include time in 12 hour mode or 24 hour mode, a calendar (with the day, date and month), a stop watch, a countdown timer and a great alarm clock. The case diameter is 45 mm and the strap width is 16.5mm. It is also water resistant, and can withstand a depth of up to 100 meters. Timex is a reputed brand name in the world of timekeeping. The company manufactures high end watches, both digital and analog and delivers what is promised. The Timex Men’s Expedition Digital Shock CAT is no exception. The last one to be featured on our list is a bit different. The Citizen Eco-Drive Promaster isn’t exactly a fully digital. It is more of a digital-analog hybrid. 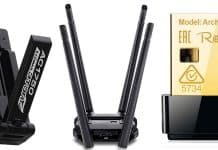 But given the beauty of this device, we simply couldn’t exclude it from the list. This might be a bit high on the price range but it is simply stunning to look at. The all metal stainless steel build, a window screen with black base and a display that is a hybrid of analog and digital contribute to its visual appeal. One of the best things about this is that it uses Natural Light to charge its battery. What this means is that you will never have to worry about changing the battery as with of the lithium-ion batteries of the other watches. The round display has a diameter of 45 mm and a thickness of only 13mm. The metal strap is 24 mm wide, also made of stainless steel like the body. It also features a fold over clasp that comes with a safety button. The Citizen Eco-Drive Promaster is a fully water-resistant that can survive at depth of up to 200 meters. Citizen is one of the most reputed brand names in the world of watchmaking. It was established in 1924. So it now has almost a century long history in watchmaking. 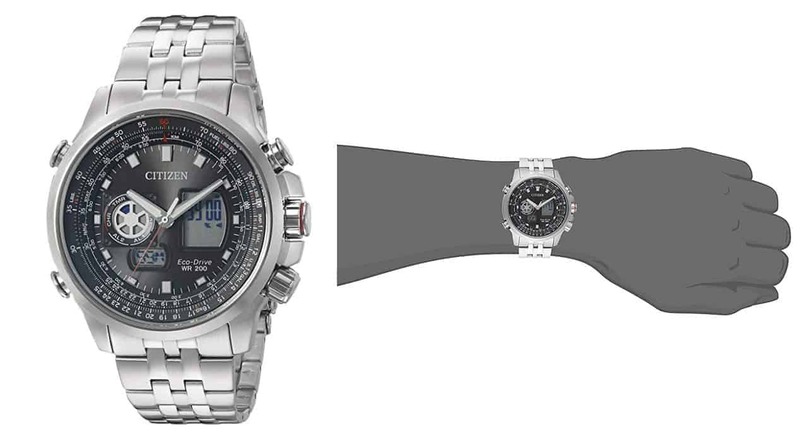 The Citizen Eco-Drive Men’s JZ1060-76E Promaster is a true testament to the company’s reputation. We just reviewed some of the best Digital watches around. But deciding which one to buy will be a challenge for many. So in this section, we will be looking at some of the things to consider before you select one for yourself. The first and very obvious point to consider is, does this give you exactly what it is you’re looking for. 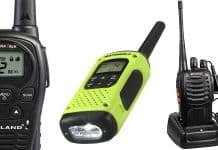 Are you looking for a simple timekeeping device, or are you looking for something to assist you in your outdoor adventures. You don’t want too many distractions. And you also want all of the features you’re looking for. Seems like quite a fancy but given the plethora of options available in the market, trust me, you will find the watch you are looking for. One of the benefits of modern society. Another thing to consider is the design of the watch. You’re going to be wearing this thing at all times. So it will become an integral part of you. Make sure you choose a design that matches your taste in fashion. So that was our article on the best digital watches you could buy in 2019. We reviewed a total of 5 watches and we ended the article with a short discussion of how to find a watch that is perfect for you. We hope this article helped you reach a decision!